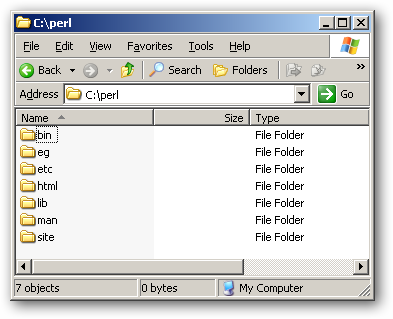 Perl is a very popular scripting language which is used to develop a wide variety of tools. 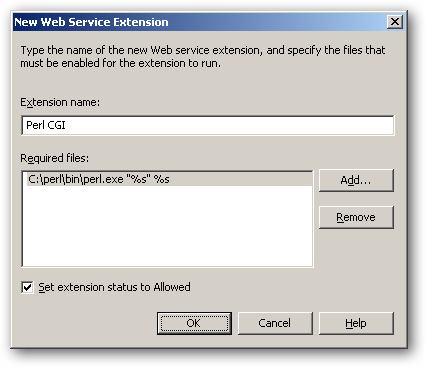 One of it’s well know uses is web based CGI (Common Gateway Interface) applications which allow Perl scripts to be executed from a web server. 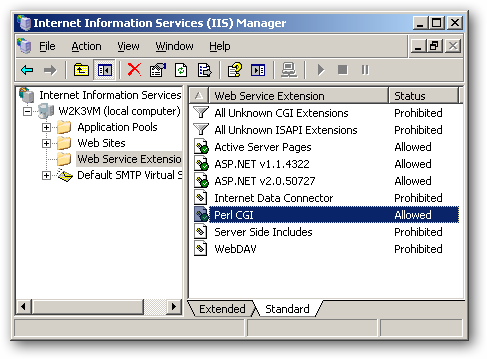 With a little configuration, you can configure IIS 6 on your Windows Server 2003 system to serve Perl scripts via CGI. 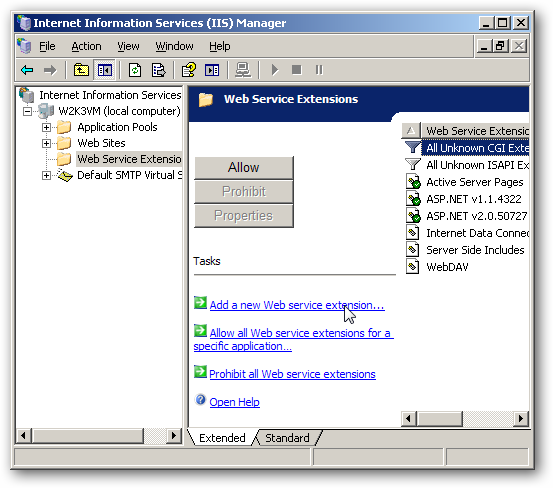 Open Internet Information Services Manager to the Web Service Extensions and select the option to add a new extension. Once finished, apply your changes. You should see the new extension in the Web Service Extension list with the status set to allowed. With the service extension installed, we have to create the Perl script file type mappings. 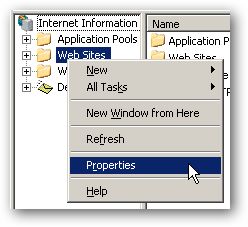 Right click on the Web Sites folder and go to the Properties dialog. 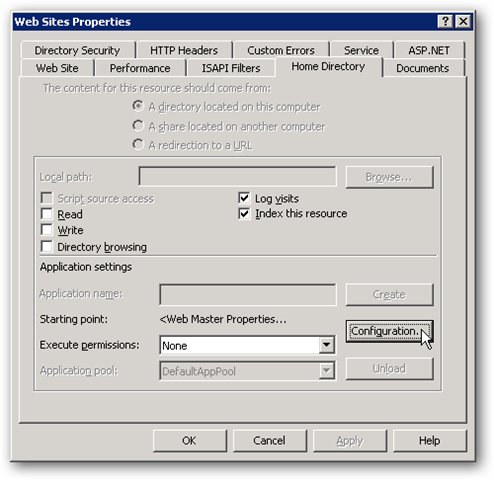 On the Home Directory tab, open the Configuration dialog. 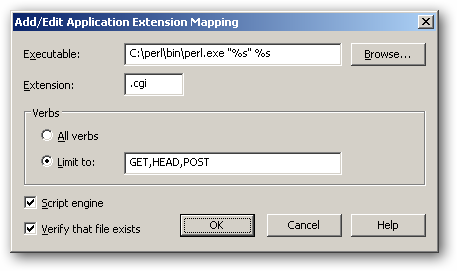 Once finished apply your changes. 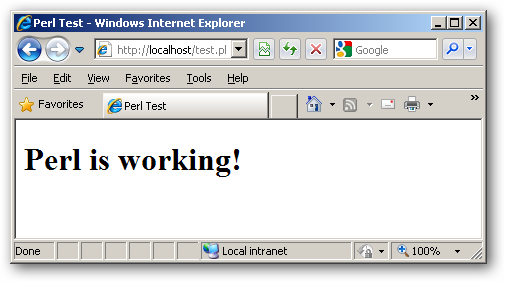 At this point, IIS 6 should be able to successfully serve Perl scripts.